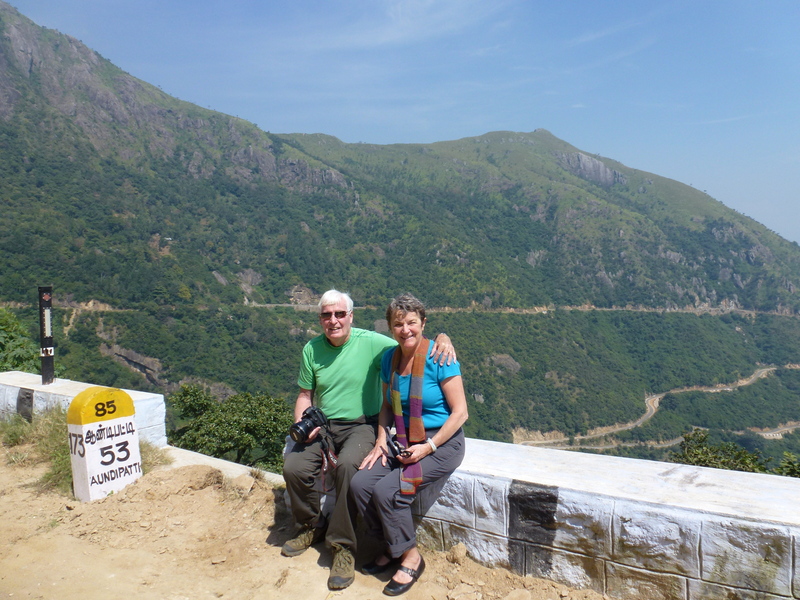 We climbed out of Tamil Nadu, leaving its magnificent ancient stone temples behind and ascending seventeen hairpin turns. I wasn’t prepared for the haunting beauty of the landscape – the 2695 metre granite summit of Anamudi, South India’s highest peak; impeccably cropped tea plantations interspersed with groves of cardomen, banana, coffee and coconut; abundant wildlife and exotic birds. We are in Kerela to spend a few days at Windermere Estate Plantation and Retreat at 1600 metres on a hilltop near the former British Hill station at Munnar. From where I am writing I can see 260 degrees around me, the rest is blocked by an immense granite outcrop, eucalyptus trees, and poinsettia in full bloom. 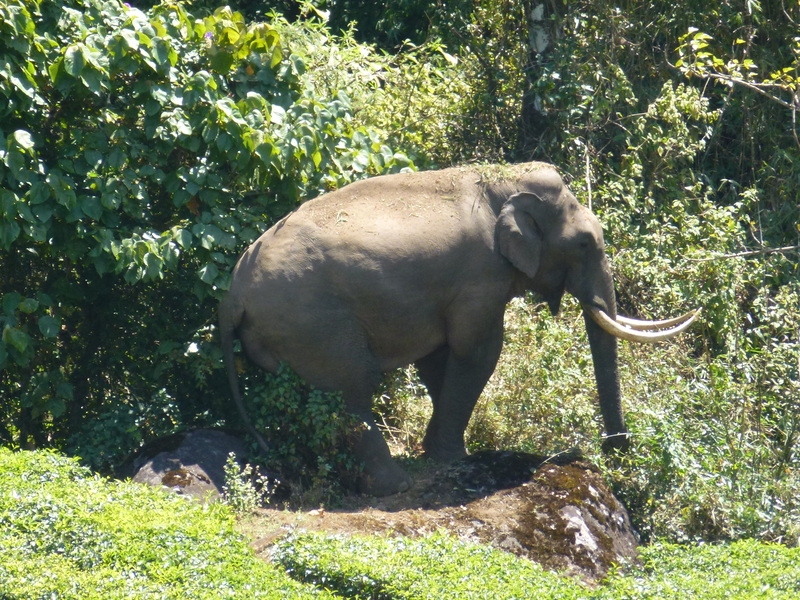 On our way back from Eravikulam National Park yesterday, we saw a wild, mature male elephant grazing on the border of a little farm about a ten-minute drive from where we are staying. We watched him for a long time from a comfortable perch on a stonewall about a hundred metres away, closer than I’ve been when watching moose or deer at home in the Rockies. The wild tuskers (as the mature male elephants are known around here) are not usually seen. 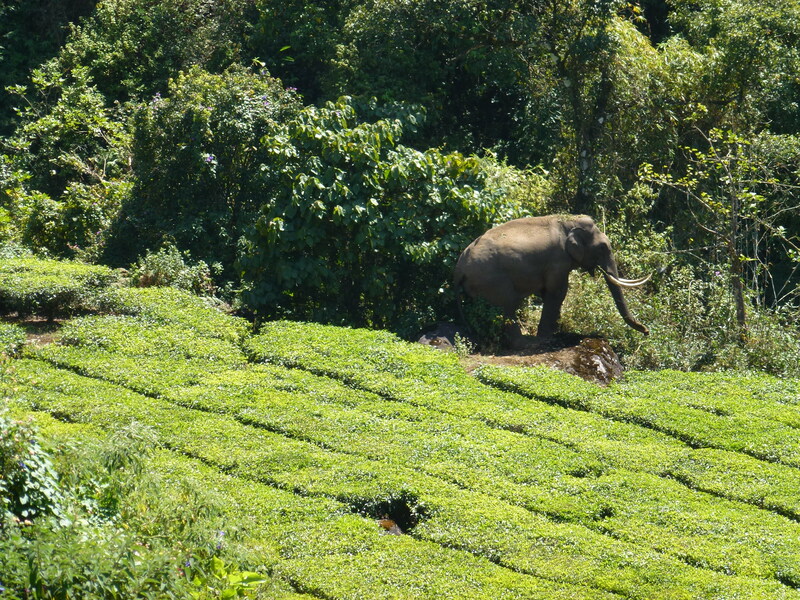 But Ganesha, known to our wildlife guide Moni, is king of the animals and is afraid of nothing, it seems. He weighs over eight tons and eats about 300 kilos of vegetable product a day, including, we noted, lots of bamboo. How could we not love this awesome place and the great beast whose performance for us was so stately? What a story. It’s hard to imagine such a magical landscape. The photos of the an elephant in the wild casually eating bamboo at the side of a field made my jaw drop. Amazing. I’m glad you like the elephant story Jackson. Keep posted for more tales about animals. Thank yo Ava and all who love elephants…even Jackson. Nancy, I’m glad you are enjoying Kerala…called God’s Own Country, and was chosen as one of the 10 best places to visit by National Geographic Magazine. 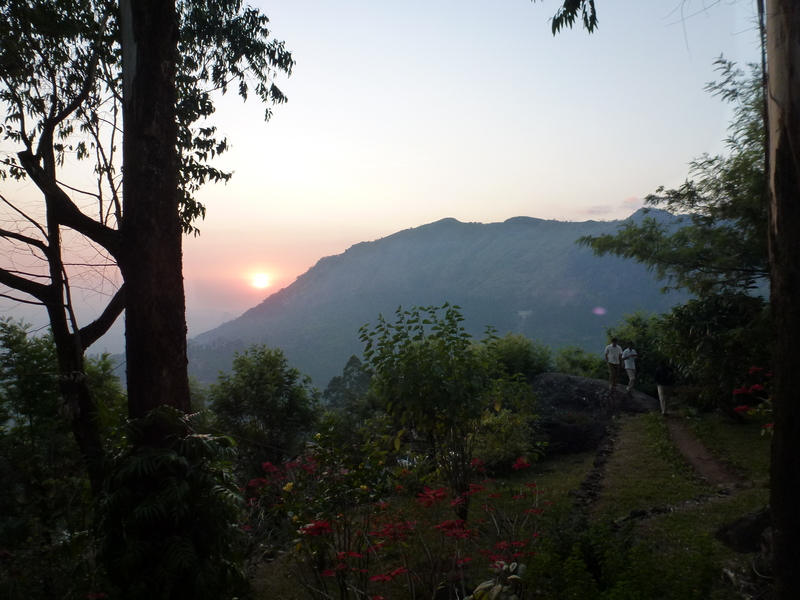 I love Kerala too….my home….but now miles away from New York….enjoy your vacation. Thank you for your comment shaanthz. I look froward to keeping in touch. Your blog is a wonderful concept and I look forward to paying more attention to it. Warm breezes, yoga, aruveda and chats with the chefs are all consuming at the moment.